In one of my morning classes, my professor actually brought in some cookies. He claims the sugar rush might help us wake up a bit more at 8AM lol. Well, he brought some lemon wafers along with some spiced chocolate cookies & they were definitely an interesting taste. 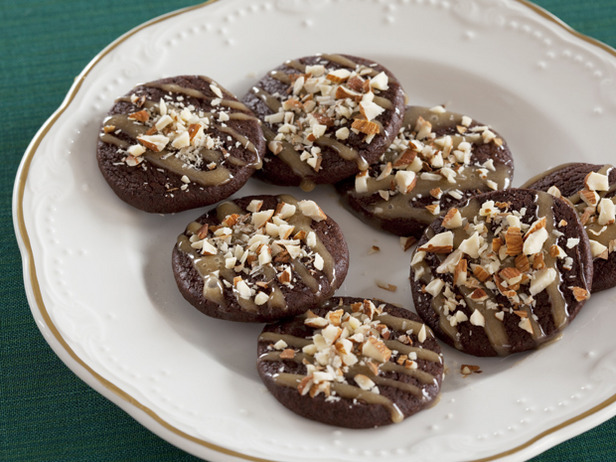 So, I browsed the web & found this recipe from The Food Network on how to make these Cinnamon-Spiced Hot Chocolate Cookies. The following recipes makes 36 cookies. thanks for sharing the recipe! the cookies look delicious and cinnamon is one of my favorite flavors. Oh yum! I'm in total crave mode for these! I'm not much for anything cinnamon, but these look pretty good! P.S. Thanks for stopping by my blog. I love having red hair! It's 9.41 am - do I still qualify? I could really use some of these right now! These look yum. Thanks for sharing. Ha, I am guessing that it must be almost time for students to fill out evaluations on the prof. I am a pretty darn good baker and I think I will give these a go this season. I love the idea of Mexican cocoa powder. My stomach just rumbled -- these look delicious! chocolate and cinnamon are such a great combination! Ooh, these look delicious! They'd be so great during the holidays. I'd really love some of these right now. Great professor - wish I'd had one like that! Mmm these look great! Any professor that brings in cookies is ok by me.